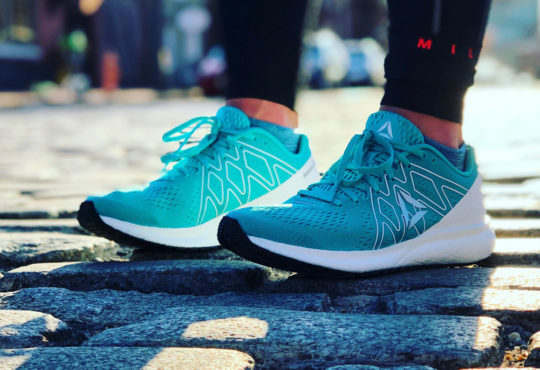 Meaghan: A lot of people were eager to hear our thoughts on the 890V5. 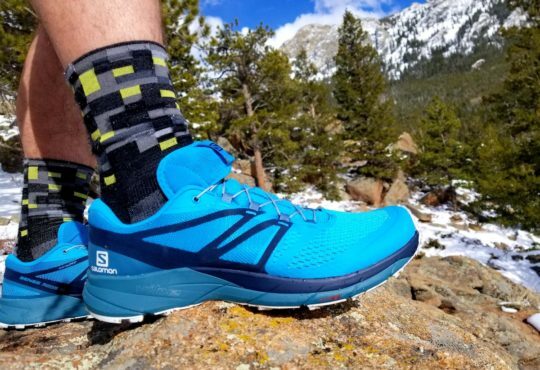 If you like the 890V4, you are going to like to the V5. Not much has changed. And why should it? The 890v4 won the “Best Update” award from Runner’s World in the 2013 Winter Shoe Guide. 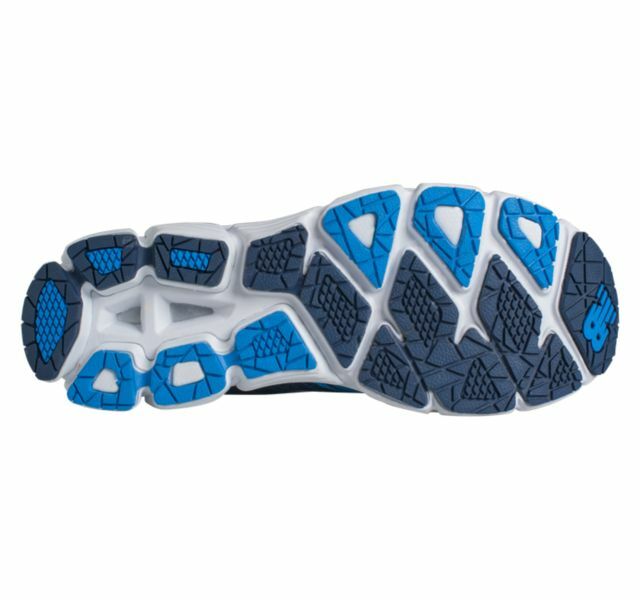 They’re built with the same REVlite midsole, podular outsole and crash pad that cradles the heel for some extra support. They still have that really great firm, yet responsive ride. There are some slight cosmetic updates through the upper, including a new lacing system that feels a bit springier. I really like the look of this shoe. I was provided with the silver and blue atoll colorway that is super sleek and modern looking. Thomas: If it ain’t broke don’t fix it. Not a lot of changes between the V4 and the V5 and that is a good thing. This shoe is one of my favorites. The 890V5 is such a solid trainer. One of it’s best attributes is that it can cover a lot of your running shoe needs. 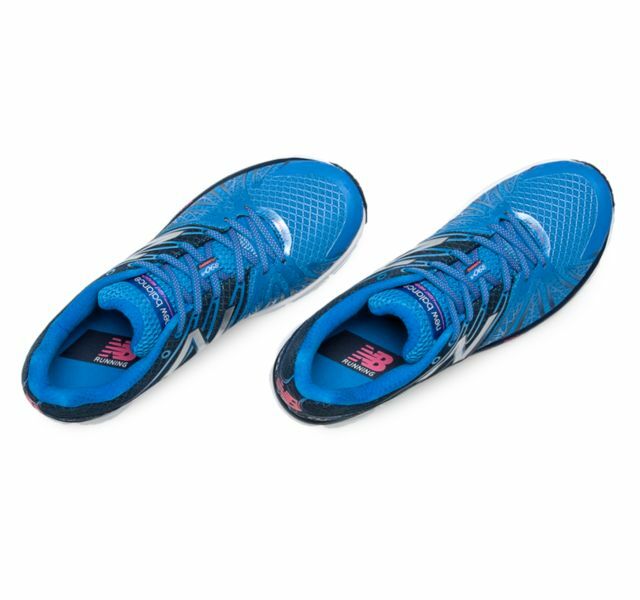 It is light enough to let you feel fast and cushioned enough to handle lots of training miles. The shoe is so dialed in from the upper, to the midsole, to the outsole. The fit of the upper is practically flawless. The heel counter cradles the heel in comfort while the the arch is secured with the lacing, and yes the padded tongue is still there from the 890V4. Somehow it doesn’t seem as puffy, but holding them side by side they looked about the same. New Balance 890V5 are available in multiple widths, the standard D fit my narrow foot perfect. The midsole feels ideal with good cushioning from heel to toe. Durability will not be an issue with plenty of rubber coverage on the outsole. Meaghan: Here’s what I can’t figure out… not much has changed, but the shoe got heavier. My 890v4 W7.5 weighed in at 6.6oz and the V5 comes in just over 7.3oz. In the world of daily trainers, it’s still incredibly light, but it seems odd they had to add any weight at all. The only other note on this shoe is the sizing. I would recommend going a half-size up. The toebox is nice and roomy, but there wasn’t enough of it for my toes to really spread out. Thomas: Everything seems the same but the weight. V4 weighed 8.5 oz. for the size 10.5 while the V5 weighed in at 9. I still can’t figure out where the shoe picked up .5 oz. 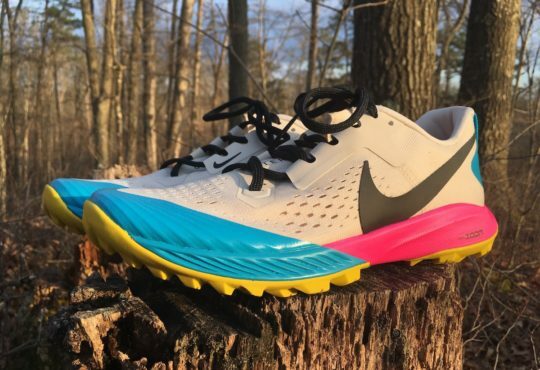 Meaghan: This 890v5 is kind of like the second Hangover movie. Same cast, same story-line, just a slightly different setting. The New Balance 890v5 is a similar situation. Same 8mm drop, same great responsive yet supportive feel underfoot, but a slightly different look to it. As I mentioned, anyone who enjoyed the 890v4 will enjoy the 890v5. Why change a good thing? 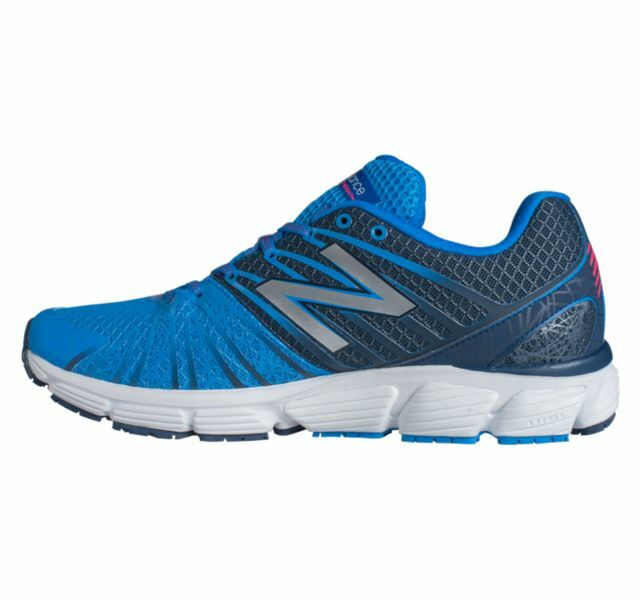 Thomas: Is it possible that the New Balance 890V5 is a better shoe for me than the New Balance FreshFoam Zante? Zante is getting so much love, and it deserves it. 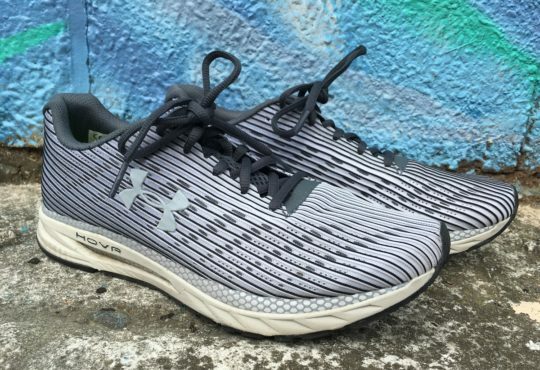 The shoe looks cool, it is light with lots of cush, but I actually enjoy running in the 890V5 more. The 890V4 was one of my favorite shoes last year and it remains one of my favorites this year. The updates are minor, I would say mostly cosmetic. The 890V5 doesn’t have the wow factor of some of the other New Balance releases have, but this shoe deserves your attention. 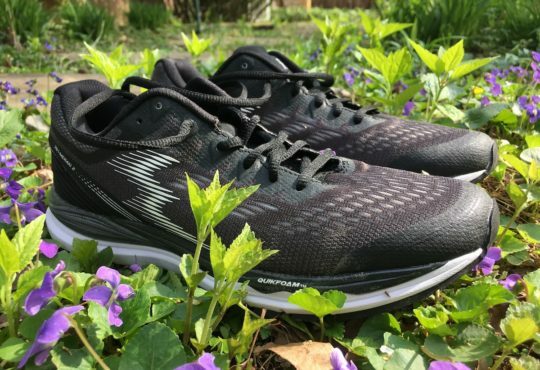 The MSRP for the 890v5 is $114. Shoes provided by New Balance for the review. 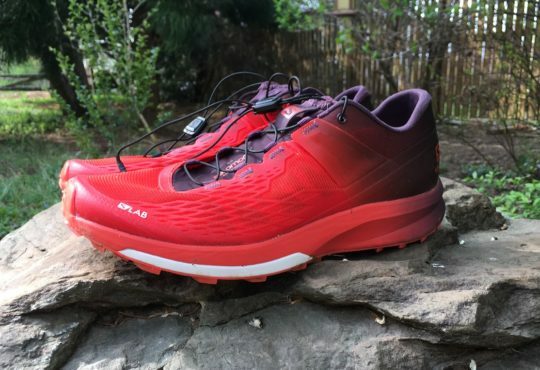 These shoes are great for logging some serious miles but still remaining light. I completely agree with Thomas that I may like these better than the Zante’s. 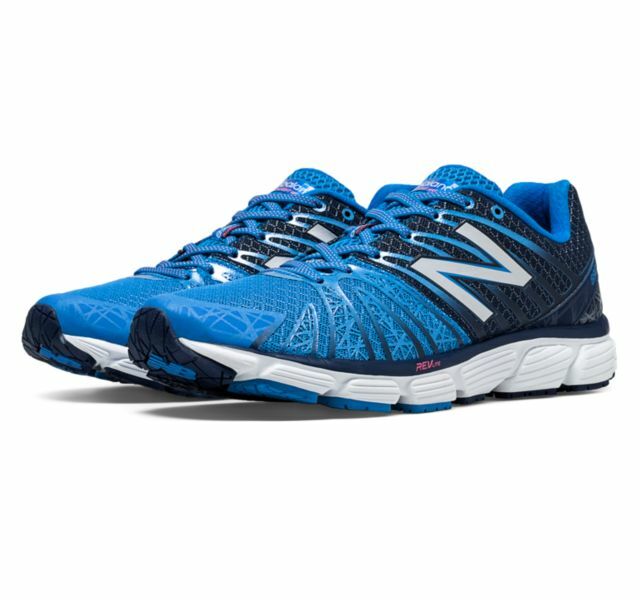 I use the NB 1400’s for speed and races and now the 890v5’s for long runs so I’m not sure when to use the Zante’s. The Zante’s look great so I use them for easy runs with a little speed. Go for the 890v5 if you need a workhorse. As mentioned I just got the new 1400v3 and excited to try them. Can’t wait for your review of them.